In Harmony News: Fact or Myth: Is Stevia Extract Bad For You? Our bodies don’t quite know what to do with these calorie-free sugar substitutes. Tricked by the sweet taste, the body activates the insulin response and ushers out glucose from the bloodstream to make room for the incoming sugar load…but no sugar ever enters. To stabilize blood sugar levels, the body then releases the stress hormones adrenaline and cortisol, which set to work retrieving stored sugar (in the form of glycogen) from liver and muscle tissue. When this process is continually activated, our adrenal glands burn out, our immune system is weakened, inflammation increases, and thyroid function is disturbed. If your body doesn’t have enough glycogen stored, it can’t convert the inactive thyroid hormone T4 into the active thyroid hormone T3. What happens when your thyroid function is out of whack? Weight gain…hair loss…and fatigue! 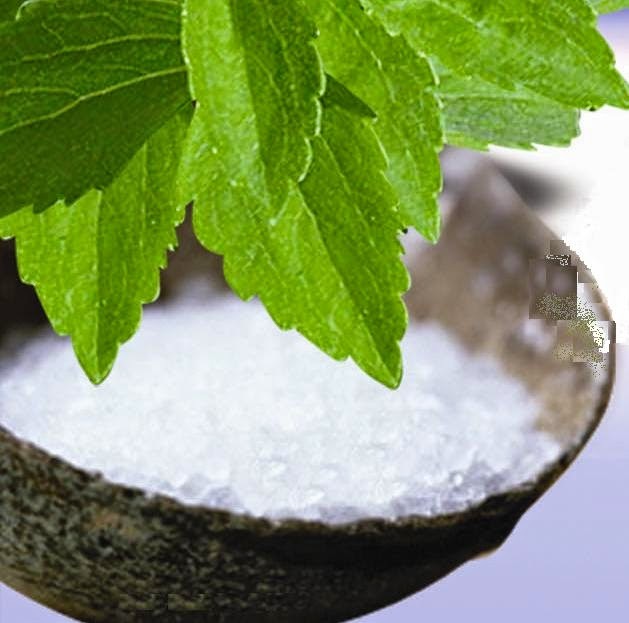 In fact, numerous studies have shown that rather than contributing to weight loss, artificial sweeteners like stevia actually cause weight gain!